Adam Lambert and Kris Allen have dueling albums out this Fall. 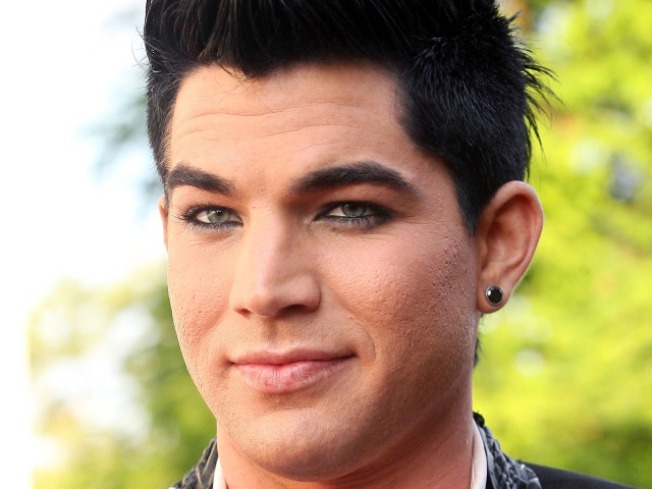 Adam Lambert has announced his first post-"American Idol" album is due for release this fall. Adam, who came in second in the FOX reality competition back in May, confirmed on his Twitter page that his album will be out in November. "fyi my album drops Nov 24th," he Tweeted. Kris Allen, the winner of the eighth season of "Idol," also used Twitter to announce his own album release date. Kris' LP will be released one week before Adam's on November 17. Earlier this summer, Hi Fi Recordings announced they were planning to release an album of material Adam recorded prior to his stint on "Idol." The album, titled "On With the Show," was slated for release this summer, but has not yet hit retailers. A single, however – "Want" — is available for download on the label's Web site. Adam attempted to distance himself from the project following its announcement in June. "The work I did back then in no way reflects the music I am currently in the studio working on," Adam previously said in a statement to Access Hollywood. "I'm thrilled to be working with some of today's hottest songwriters and producers and can't wait for people to hear what my music really sounds like." In related "Idol" news, Danny Gokey, who came in third on the show, has just signed a recording deal. Danny has been snatched up by 19 Recordings/RCA Nashville, a branch of 19 Entertainment, which produced "Idol." According to USA Today, Danny is set to hit the studio in country music's hometown following the "American Idols Live" tour, which is currently trekking through the U.S.